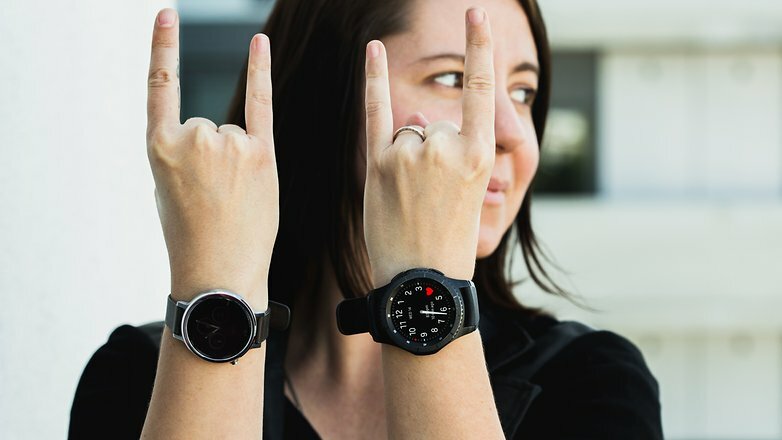 Before I begin, I must say that in terms of diversity of watches running both OS’s, Google takes the lead, as many companies are already investing in Android Wear. On the other hand, Samsung and Apple each manufacture both the hardware and the software. Since the launch of the Galaxy Gear in 2013, I have been using a smartwatch almost every day. In these past four years, a lot has changed in terms of software, from optimization of energy consumption to the number of apps developed for use on this platform. However, in the past year, I noticed that these gadgets have become more functional. I think the big reason for this was the introduction of the Apple Watch into the market, which eventually boosted development in the area of ​​software. 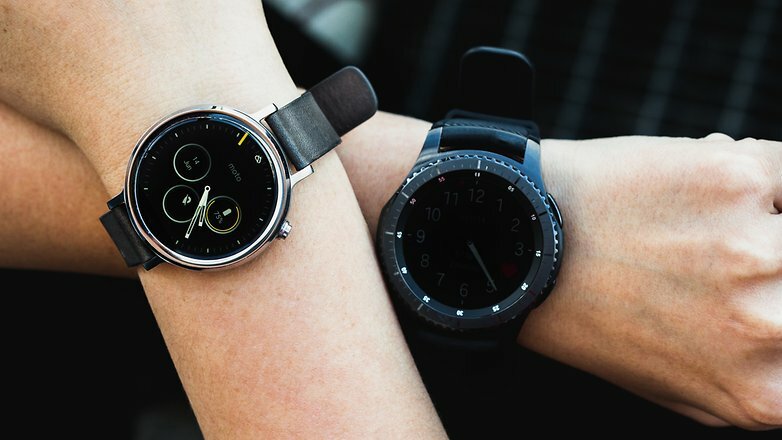 At the Google I/O conference in 2016, Google announced fundamental changes to Android Wear 2.0, which we officially came to know in early 2017. 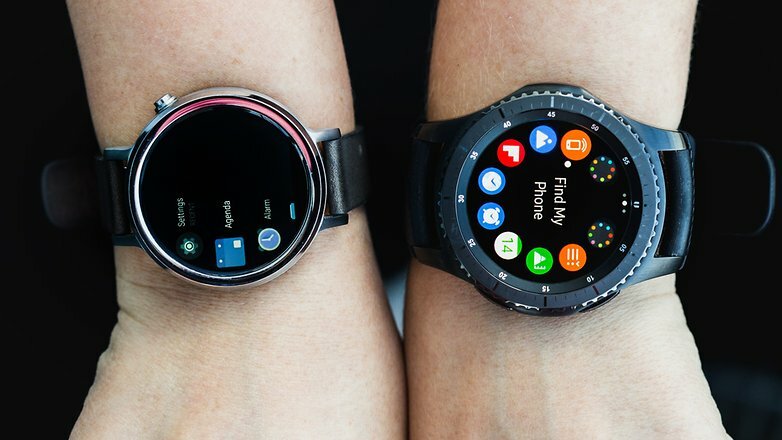 In 2014, Samsung integrated its own operating system Tizen into the Gear S. But it aws only in 2015 that the South Korean manufacturer began to form its line of smartwatches with the Gear S2 and last year’s Gear S3. Currently, smartwatches do not offer much in the way of customization. Your options are pretty much limited to a choice of which widgets you’d like to see on your display. In its meager ecosystem, Tizen offers some applications that allow you to move things around and create a more exclusive experience but there isn’t much scope for anything more advanced than that. Both platforms are working with partners to develop functional dials. Samsung has been working with Volkswagen, for example, to connect the watch to a car. It seems that expanding the number of displays and possibilities in terms of ​​customization will generate more appeal in the long run for both platforms. 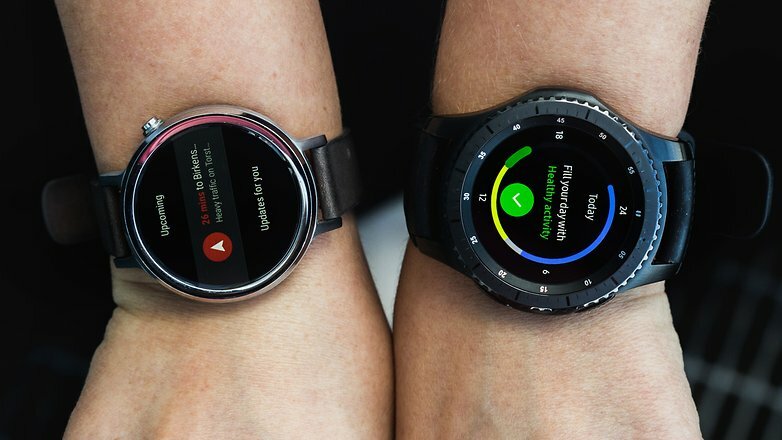 Android Wear allows you to download apps directly onto the watch and of course, you also have the Google Assistant. In addition, the system offers users the possibility of using the watch’s dial to interact with the menus. Quick access to information is provided through the notification system, which is customizable from the accompanying app on the smartphone. The system is very smart and using widgets, you can personalize the information that appears on the screen. In terms of access to information, there isn’t much difference between Tizen and Android Wear. Samsung’s software is perhaps mildly more intuitive, which might be because Samsung builds the hardware and software itself so it manages the “whole package” without third parties. It allows you to use a system that incorporates the main control tool, a rotating dial, consistently and avoids you having to touch the screen all the time, especially since it also supports buttons like quick access to applications and return. However, truth be told, Tizen OS has a big gap right now compared to Android Wear when it comes to Artificial Intelligence. Google Assistant is much more advanced than what you have in S Voice though who knows what the future Bixby will bring. Both software versions support Bluetooth and Wi-Fi connection, so you don’t need to have the phone near you all the time. The Gear S3 Frontier, in fact, still offers support for 4G, which makes it even more competent compared to the Moto 360 (2015), for example. In addition, both platforms use their own systems to pay via smartwatch. In the case of Samsung, there is Samsung Pay, which is also used in smartphones made by the South Korean manufacturer. Google already offers Android Pay. Regarding the use of the watch for sports, you first need to look at the hardware of other models available on the market. As for the operating system, Android Wear offers GPS, for example, but at the moment, Google’s platform is still behind its competitors when it comes to native fitness services. Google Fit is very reasonable in terms of its functions but the delivery of statistics and training data is very basic and confusing. You can monitor footsteps, distance covered in walking, jogging and cycling and, depending on the watch, check your heart rate. These are useful functions but they are still very basic and sometimes unstable in their collection of data. An advantage in the fitness and health area of ​​Android Wear is that many companies and developers are starting to offer more advanced services. So keep in mind that using Google’s platform for sports will depend directly on third-party services, which are often paid for, but are much more accurate and functional. Tizen is the opposite of Android Wear in this area, especially on the test device I used, the Gear S3 Frontier. This watch was developed for fitness and outdoor sports. A few months ago, we went to Peru to test the barometer of the device to show how it deals with extreme altitudes. Samsung’s wearable operating system offers automatic recognition of sports and is able to differentiate one exercise from another, giving you the chance to practice different sports one after the other and thus save your data. System integration with Samsung Health is much more mature than what Google offers with Fit. The system sends you frequent reminders during the day for you to move around and delivers a much more complete statistic of sports practice and health data. In addition to heart rate monitoring, it can measure SpO2, which is the saturation of the capillary oxygen and determine the amount of oxygen in the blood. I have to say that in these three weeks of using Tizen OS over Android Wear, I became more aware of my health because of the constant reminding of the importance of moving around and in particular, the detailed delivery of relevant data on my health. Last but not least, when it comes to sports and health, smartwatches themselves aren’t as accurate as dedicated smart bracelets, especially for cardiac monitoring during sports. But without a doubt, in this comparison, Tizen takes the lead over Android Wear. The Play Store is more popular than Samsung’s Galaxy Apps, so it logically follows that there are more apps developed for the Google OS for wearables than for Tizen. Also, just like on our smartphones, support for notifications from most services is higher on Android Wear. But when it comes to popular apps, Samsung is rushing to make them available in its store as well. Apps like Spotify and Uber are imminent. However, using Google Maps is only done on Android Wear, since Tizen uses another app, HERE. So services we use constantly on a device running Android may not be supported on a Samsung OS or may not offer the same experience. Android Wear vs Tizen: which should you get? According to a global survey conducted by Ericsson, one in two people believes that smartphones will be obsolete in five years. This study was conducted in 2015 and was attended by 100,000 people from 40 different countries. Gartner, a leading provider of technology research and advice in developed countries, suggests consumers will own between three and four devices by 2018. These include wearables, smartphones, tablets and PCs. In summary, with the evolution of wearables, smartphones will become less and less necessary. Some people already think that a smartwatch is just a shortcut to the smartphone and because of this, they don’t see the need to buy a smartwatch, as it’s just another device you’ll need to charge on a regular basis and it just takes up space in your bag. You may not even agree now, but wearables are the future and smartphones will quickly become things of the past. Few companies are innovating, it has already been proven that we do not need 6 or 8 GB to increase the processing power of smartphones – the best-selling smartphone in the world last year has 2 GB of RAM, and I’m talking about the iPhone 6S. However, it’s easy to see that, just as with smartphones, adopting a new technology happens more slowly than we expect. Operating systems and functionalities are almost always the major limiters of this evolution, as they depend on a lot of investment in order to develop. With smartwatches, it was not, it is not and will not be any different. Looking at Tizen, Samsung has the power to deliver the ultimate experience of software that goes hand-in-hand with hardware. And that gives the South Korean manufacturer a serious advantage over Google, which develops the software and then needs certain hardware features to partner with. On the other hand, Google’s development in the field of Artificial Intelligence goes far beyond the S Voice in Gear S3 or Bixby. Personally, I’m sticking with Tizen right now because the functions I use most are better developed in this OS for wearables. However, with the evolution of Google Assistant and the way it integrates with Tizen may change my mind in the future, in order to have a more pure experience with Google’s virtual assistant. What about you, which operating system do you have on your wearable? Will you be sticking with it?